The Archbishop of York is inviting all to join him in a vigil of prayer ahead of the Commons vote on the Brexit deal. The vigil will start on Sunday 9 December at 6am until Tuesday 11 December at midnight. The Archbishop, after much prayerful consideration, has written a special prayer which he is encouraging everyone to pray on the hour, every hour throughout the three days. York Minster is open as a place of prayer. All are invited to attend. This prayer will be readily available to use and will be said by the duty Chaplain at York Minster throughout Monday and Tuesday. The Archbishop's prayer, together with a video from the Archbishop, can be found here on his website. Meanwhile Rt Rev. Dr Jill Duff, Bishop of Lancaster, has also been praying for the nation as we approach the Brexit vote and found herself embroiled in a series of coincidences last Friday. Surfing on the waves of hope, buoyed up by the Diocesan Conference, she was the guest speaker at Christ’s College Cambridge for their annual Commemoration of Benefactors service. (Jill studied Natural Sciences there 1990-3). 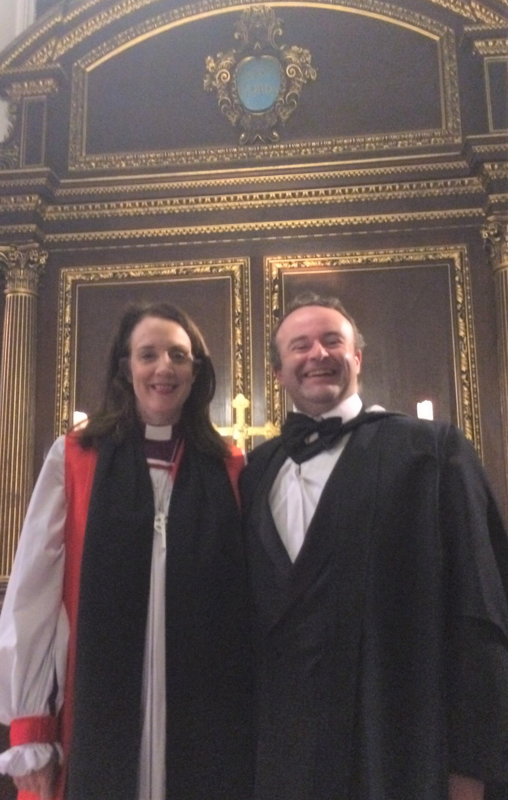 Bishop Jill is pictured right after her address at Cambridge with her husband, Rev. Prof. Jeremy Duff. The key benefactor of the College was Lancastrian Lady Margaret Beaufort, who became mother of Henry VII. She was a woman of prayer who prayed for the uniting of the country after the Wars of the Roses. She was inspired as a teenager by Joan of Arc, who also saw the shifting of the wind direction and political fortunes of France. Bishop Jill said: “As I was preaching in the same chapel founded by Lady Margaret Beaufort, it was as if I were standing on the shoulders of giants of faith. “Lady Margaret was a Lancastrian who wrestled in prayer for peace and unity in our nation. Here I was, the first female Bishop of Lancaster, also at time where we so much need the Holy Spirit to bring peace and unity in our nation. Read the Bishop’s Cambridge address here.